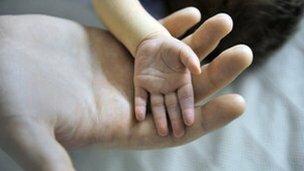 Two senior paediatric pathologists say they have discovered vitamin D deficiency in a significant number of children who have died of Sudden Infant Death Syndrome. 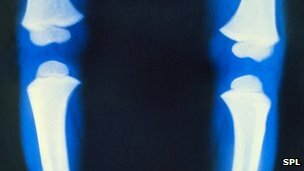 The doctors say that vitamin D deficiency and associated diseases such as the bone disease rickets could potentially explain deaths and injuries that are often thought to be suspicious. And they fear that children with such deficiencies may have been taken away from their parents and placed in foster care for no good reason. Dr Irene Scheimberg and Dr Marta Cohen believe their findings merit further investigation and research. 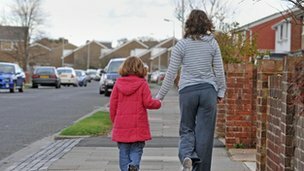 "I think there should be a commission that studies all these cases [which would] take into consideration the age of the children, the gender, the race and the way in which the way these families live - particularly when the children are still alive and living in foster care when they could be back with their families," said Dr Scheimberg, based at the Royal London Hospital in Whitechapel. The findings in children from London and Yorkshire followed the discovery by Dr Scheimberg in 2009 of congenital rickets in a four-month-old baby whose parents had been accused of shaking him to death. Chana Al-Alas,19, and Rohan Wray, 22, were acquitted of murdering their son Jayden after the jury learned that his fractures, supposedly telltale signs of abuse, could have been caused by his severe rickets. Dr Scheimberg also discovered rickets in Jayden's mother. Michael Turner QC, who defended Miss Al-Alas, told the BBC that he was shocked by the lack of knowledge about vitamin D deficiency of some of the expert witnesses at the trial, held at the Old Bailey. "No-one had ascertained until the post-mortem that baby Wray was suffering from congenital rickets; no-one had ascertained that the mother was vitamin D deficient herself," he added. "So we had a senior radiologist failing to diagnose rickets; we had a senior radiologist from Great Ormond Street Hospital failing to diagnose congenital rickets; and even more worryingly - in respect of the senior radiologist at Great Ormond Street - failing to understand in any way, shape or form the importance of vitamin D on the endocrine system [hormone-secreting organs] in the body." But a spokesman for Great Ormond Street Hospital challenged Mr Turner's version of events. "Jayden's death was tragic. He came to Great Ormond Street with very severe injuries including a fractured skull and brain damage, and multiple other fractures. For the two days he was here, our priority was to try to save his life, but sadly this was not possible. "Rickets, as conventionally understood, is diagnosed either from X-rays, biochemical tests, clinical findings, or a combination of these. We're confident in the clinical view from our staff that his X-ray appearances were within the range of normal, and did not show definitive features of rickets." "Two radiologists reached this view at the time, and subsequent independent review by two other radiologists agrees with this view. We understand the diagnosis of rickets was made after his death, not from any X-ray findings, but through examination of samples under a microscope." In London, Dr Scheimberg discovered vitamin D deficiency in a further 30 cases. Vitamin D deficiency was found to be a cause of death in three cases. Cardiomyopathy, a disease of the heart muscle, was discovered in two small babies. A third died of hypocalcemic fits, a condition of low serum calcium levels in the blood caused by vitamin D deficiency. Vitamin D deficiency was a co-existing finding in the sudden and unexpected deaths of eight children, so-called Sudden Infant Death or Sids; in five children with bronchial asthma and another five with combined bacteria-polyviral or polyviral infections. Two of the babies, including baby Jayden, also had fractures. In Yorkshire, Dr Cohen found moderate to severe levels of vitamin D deficiency in 45 children, mostly infants aged less than 12 months, who died of natural causes. Of the 24 sudden infant deaths Dr Cohen investigated from this group, 18 - or 75% - were deficient in vitamin D.
Dr Scheimberg said severe vitamin D deficiency could make the bones of small babies very brittle and capable of fracture with little or no real force. "We need to investigate the vitamin D levels of these children carefully and the circumstances in which the bones fracture," she explained. "Obviously if you have bones that fracture easily then they will fracture easily they will fracture with any normal movement like trying to put a baby grow on a baby you will twist their arm. In a normal child you won't produce anything. But in a child whose bones are weakened and [who have] an abnormal cartilage growth area, then it's easier for them to get these very tiny fractures or even big fractures." Vitamin D is actually a hormone, and endocrinologists are experts in how the body is regulated by the hormone excreting glands - or endocrine organs. Stephen Nussey is professor of endocrinology at St George's Hospital at Tooting in south London. He believes that, despite repeated government recommendations on vitamin D supplementation, vitamin D deficiency is still not being taken sufficiently seriously by the authorities. "Lizards are quite like humans in their vitamin D. Their dietary intake is pretty low and they need to have sun exposure and you need to have a light in the enclosure in which you keep your lizard of the right wavelength. "If you don't have one of those lights your reptile will get osteomalacia [adult rickets] very similar to humans. I guess the RSPCA would quite rightly prosecute you if you didn't give your reptile vitamin D.
"But there's no action taken against you if you don't give it to your daughter. So that rather illustrates the importance placed on vitamin D for your reptile rather than giving it to your daughter." Earlier this week, the chief medical officer for England, Dame Sally Davies, wrote to doctors, nurses and other health professionals advising them to consider vitamin D supplementation for certain at risk groups, including pregnant mothers. "We know a significant proportion of people in the UK probably have inadequate levels of vitamin D in their blood. People at risk of vitamin D deficiency, including pregnant women and children under five, are already advised to take daily supplements. Our experts are clear - low levels of vitamin D can increase the risk of poor bone health, including rickets in young children," she explained. "Many health professionals such as midwives, GPs and nurses give advice on supplements and it is crucial they continue to offer this advice as part of routine consultations and ensure disadvantaged families have access to free vitamin supplements through our Healthy Start scheme. "It is important to raise awareness of this issue, and I will be contacting health professionals on the need to prescribe and recommend vitamin D supplements to at risk groups. "The Department of Health has also asked the Scientific Advisory Committee on Nutrition to review the important issue of current dietary recommendations on vitamin D."